In conjunction with the Town’s of Rothesay and Quispamsis, we produce and distribute an updated full colour street map of the Town’s of Rothesay and Quispamsis each December. The street map also features a directory of local businesses displayed on the map. 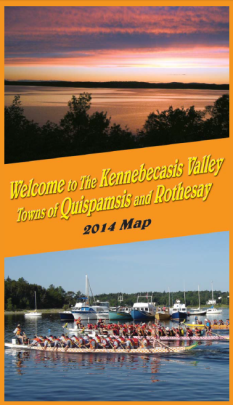 The map is distributed at the town offices of Rothesay and Quispamsis, at the Kennebecasis Valley Chamber of Commerce and through the clients who advertise on the map.